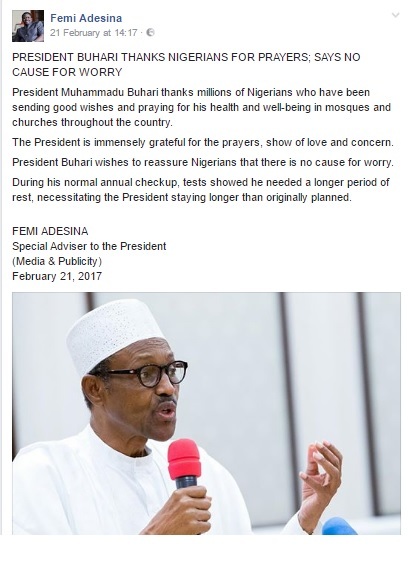 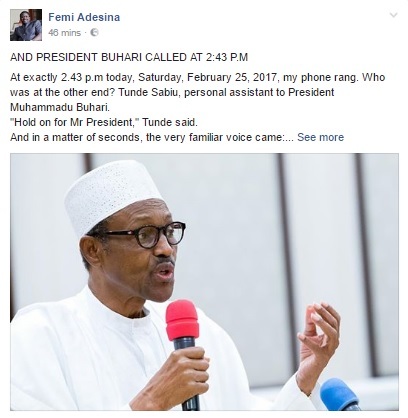 The president is alive and still resting, Femi Adesina revealed today in his latest facebook post. 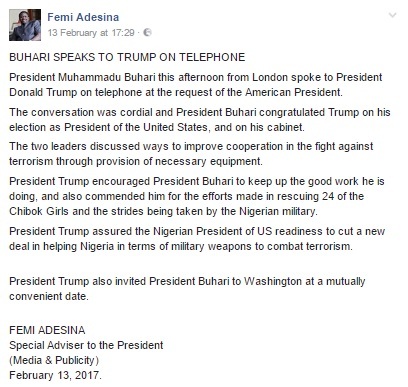 Thank goodness for the news, but Mr Adesina also revealed this was his first direct contact with Mr Buhari in more than a month. 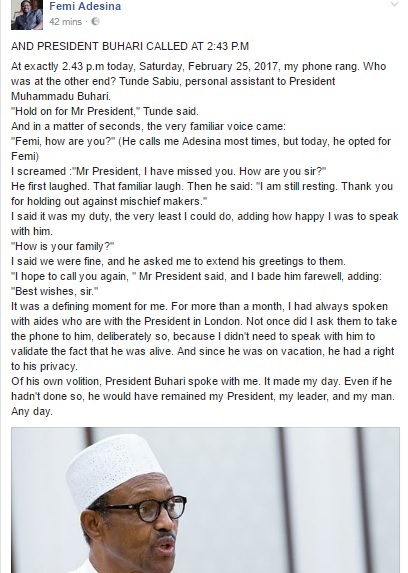 UK Nigerian, Worldwide Femi Adesina on the FIRST direct contact with Mr Buhari since January Bookmark the permalink.